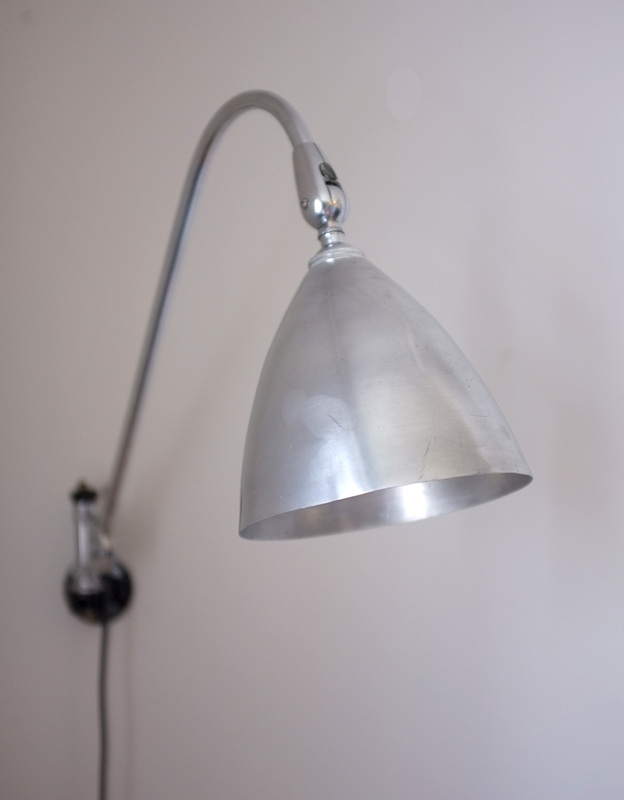 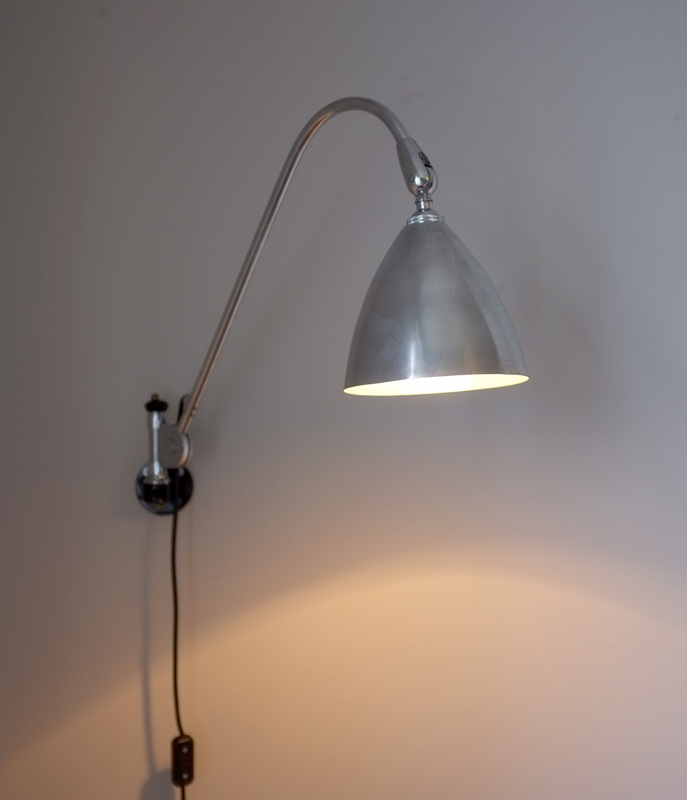 A vintage Bestlite BL6 wall lamp designed in 1930 by Robert Dudley Best. 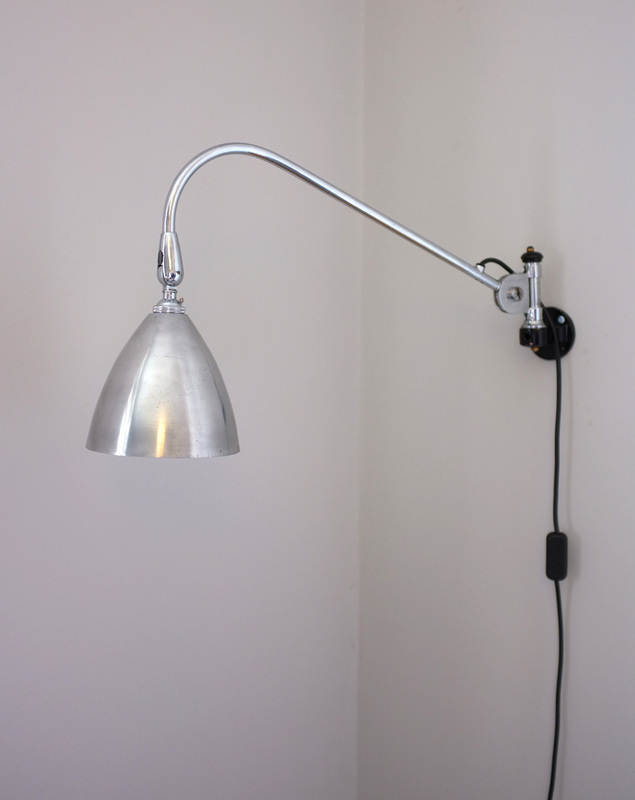 Polished metal shade, chrome arm and black painted wall fixing. 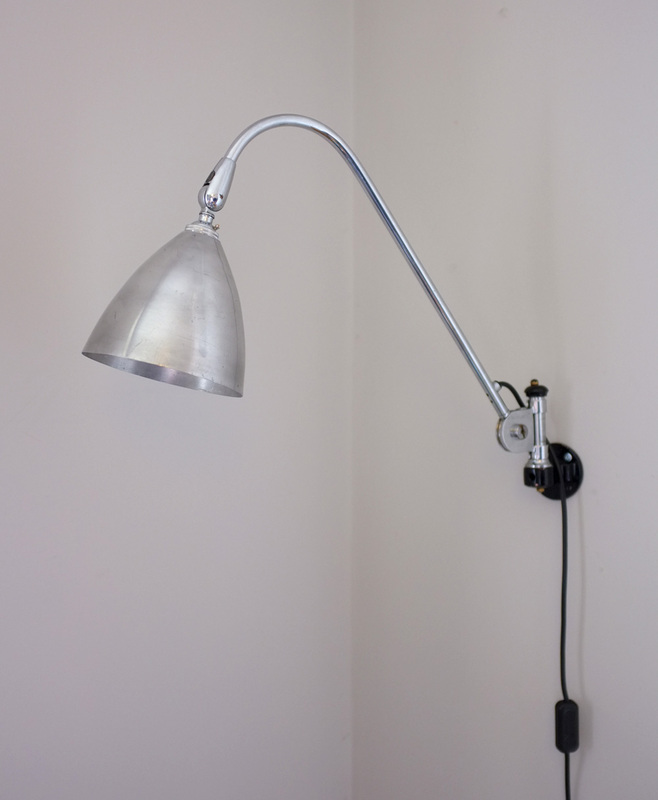 Holds position very well, there are some minor age-related marks and small dings to the shade.